Leave the kids spellbound this Halloween with a creepy collection of ghoulish games from MEGABLEU guaranteed to keep your boo crew entertained for hours…. A new spin on the classic Ghost Hunt sensation, Billy Bones leads a scary adventure by projecting ghosts and bats on the walls, floors and ceilings with his all-seeing, magic eye! 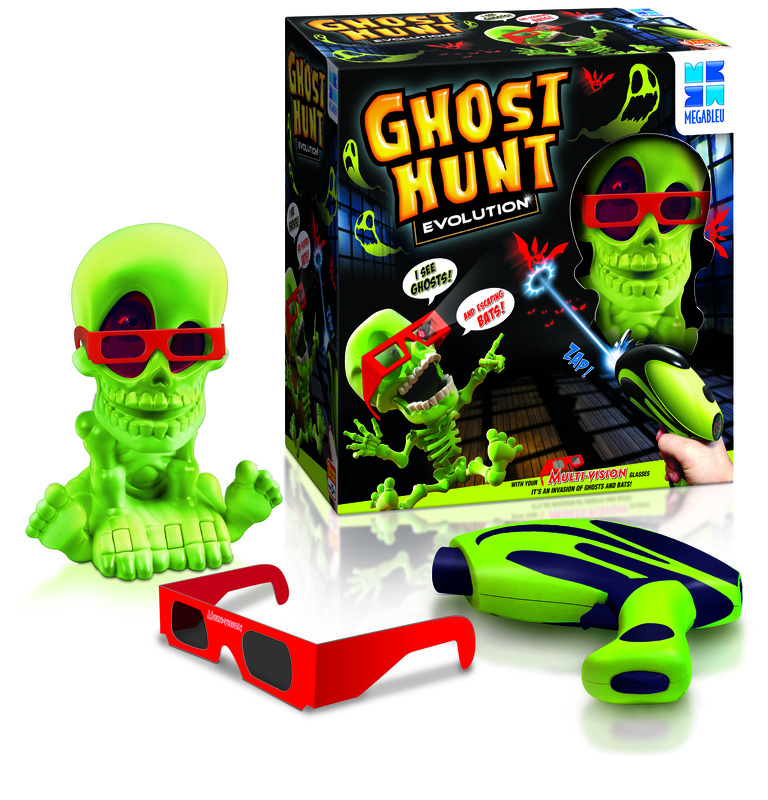 Turn down the lights and put on your MULTI-VISION-glasses to catch those pesky spectres popping up everywhere. Aim the rechargeable infra-red gun as soon as they appear to score a point each time you hit a ghost. But beware! The bats fly around at lightning speed and whoever hits them scores three bonus points! Trick or treat with a spooky take on one of the world’s favourite games, Truth or Dare! 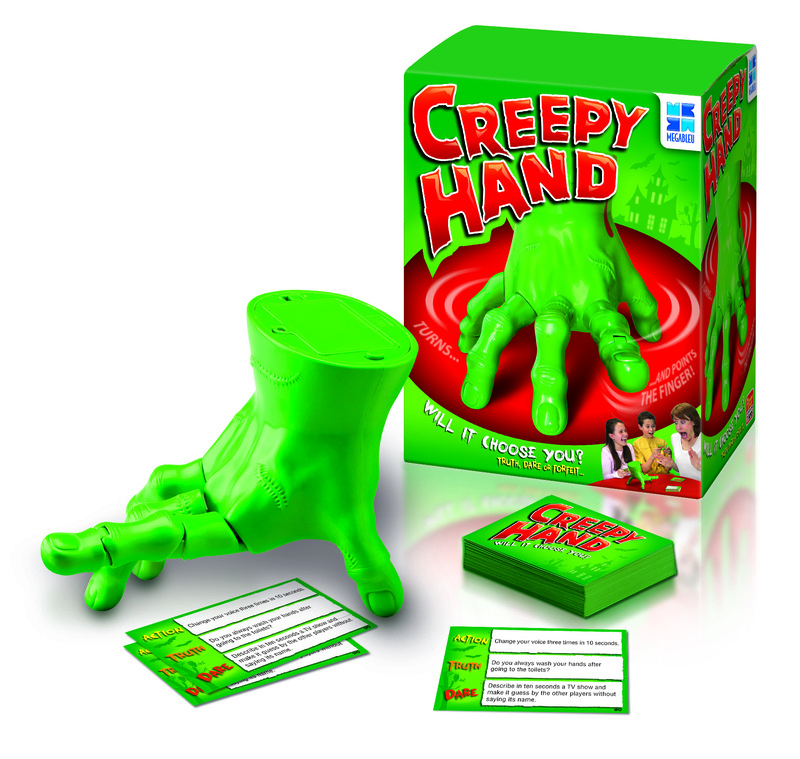 Gather players in a circle, put the Creepy Hand in the middle and watch as it moves around the table until it points at its victim with the fickle finger of fate. The selected player must either answer an embarrassing question or perform a daring challenge. What will you choose? For your chance to win visit us at www.facebook.com/lovedbyparents give us the thumbs up and write the words ‘Spooky’ in the comment box on the LBP page. Competition closes at midnight on the 26th November 2015. Previous article WIN a Lil ‘Ocean Explorers Bundle worth over £200! Next article Win an Extended Rearward Facing Car Seat from Joie’s Collection and give your child the safest start!